England batsmen produced master class performance to register highest successful run chase by them in T20 by scoring 181 on the final ball of the innings. As a result, the two T20 match series got tied 1-1. English team was captained by Eoin Morgan who was stand in skipper after Stuart Broad was ruled out of matches due to injury. England had won the toss and elected to field. The decision didn’t look well as Indian openers scored with a run rate of 10 in first seven overs. However, two wickets fell in quick succession which slowed down the pace. However, despite the best efforts by England fielders, India still managed to get 177 with brilliance of Dhoni and Raina as India scored 65 in last 5 overs. Raina was not out on 35. England needed a solid start to win the match and level the series. The openers Adam Hales and Michael Lumb provided 80 runs partnership to ease off the things. 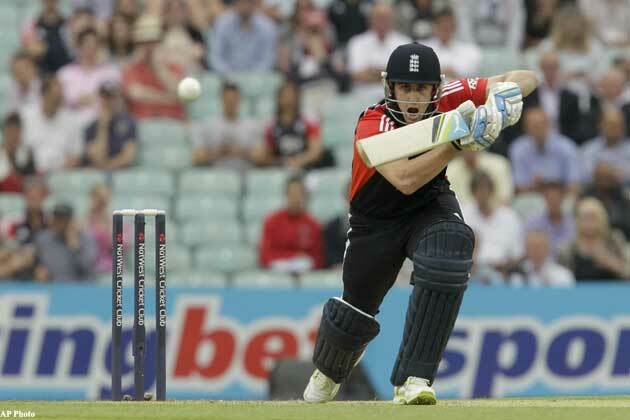 However, with both the openers and Luke Wright out, England got into trouble. However, Butler and Morgan, the skipper batted beautifully and required 9 runs off the last over. On the final ball, England required three runs and the captain needed to do some heroic, which he did. Morgan hit a straight six over sightscreen to finish the job for England, leaving the crowd stunned. It was England’s highest successful chase in T20 internationals. Yuvraj Singh, who took 3 wickets for just 17 runs was the best bowler from Indian side. He was declared man of the series. This was Yuvraj’s best performance in T20.